Swimming is a popular summer activity for children across the nation, as it allows them to cool off on hot days and to participate in a number of aquatic games. Children are often not properly educated about the hazards they are exposed to at a pool, however, and it is the responsibility of parents to make sure that their children follow safety guidelines that will reduce the risk of potentially deadly accidents. By educating and supervising your children, you can make sure that they have the maximum amount of fun possible with the minimal prospect of injury. 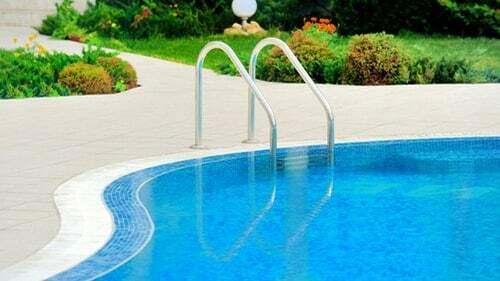 Many of the hazards that children will encounter will be near the pool rather than in it. Fences, slippery pavement, pool covers and diving boards all present unique risks to those using the pool area. It is important to inform your children about these dangers so that they can enjoy the pool without getting hurt. These addition hazards need to also be considered. Pathogen exposure— children who are infected with bacteria or viruses can spread their disease to others. For this reason, any child who is ill should not be allowed at the pool. Swallow depth— children should be instructed only to dive in designated areas to prevent the risk of injury to the head or neck. Poor lighting— swimming at night is not advised unless there is adequate lighting and children are under the supervision of enough adults to rescue them if they are in distress. Inclement weather— the pool area must be cleared immediately in the event there is a thunderstorm, as lightning poses a danger to those in the water and close by. Electrical appliances— it is important never to bring electrical devices anywhere near a pool. The simple prospect of an electrical device falling into the water can spell catastrophe. Supervision— never allow your children to go swimming unless there is an adequate number of lifeguards or adults present who can intervene when things go wrong. Tripping hazards— pool furniture, toys and other objects need to be kept out of common walkways so that children do not slip and fall in or near the pool. Owning a pool is a great way to allow your children to access the water whenever they have the desire, but it is important to establish ground rules and to keep younger children from accidentally falling into the water. To keep children out of the pool when unsupervised, you can cordon off access through the use of a fence or gate. This also keeps other neighborhood children and strangers from taking a swim in your pool whenever they please. In addition to the fence, you should have a pool cover and an alarm so that you are alerted whenever there is someone in your pool. The very things used to provide security and protection can quickly become hazards if a child tries to climb a fence and falls or if the child becomes trapped underneath a pool cover. Make sure that your pool and fence are up to building code. Also make sure that there are no glass objects near the pool, as they can break and pose a hazard in and around the pool. The best way to keep your children safe when they go swimming is to be clear about your expectations and to establish rules they must follow— such as never running or rough housing near the pool and only swimming when an adult is present to supervise. For more information regarding pool safety, consider the following resources.